I remember what it was like to fall in love. When everything was fresh, new and exciting. That little jolt you’d feel when you looked at each other. How it felt to hold hands. To kiss for the first time. That on top of the world feeling. You ride that wave for a time, and then comes a proposal. All fresh and new and exciting. And then a wedding, honeymoon and newlywed life follows. Everything is bliss. But…sometimes it isn’t. Sometimes you wake up and your life seems strange. The bliss is gone and all you know is never ending housework, making meals, babies and parenthood. It’s all jumbled up and messy and it seems that everything you knew once is gone. Lost forever in a memory. People give up when sparks don’t fly. When it isn’t easy anymore. When you’ve asked your spouse to please pick up their laundry off the floor and it’s still laying there. When you’re the only one patenting the children. When you’re at work all day and you barely know the person that you’re married to anymore. People give up. People give up and it breaks my heart. I hate seeing it. I hate hearing about it. I’ve cried over other people’s marriages ending. Maybe that’s crazy, but it’s true. It makes me ache for them because they quit and they haven’t even seen the best part. I’m not a gardener. I have such a black thumb that I kill everything in my wake. But I do know that gardens are a lot of work. Like, a ton. You have to prepare your garden bed by tilling the soil and removing rocks and weeds. When the soil is ready, you shop for your plants. You pick out the prettiest flowers you can find, bring them home and then plant your garden. It’s so fresh and new and clean. But it doesn’t stay that way for long. Before you know it, weeds have cropped up. You know that you need to get down on your hands and knees and pull those weeds out, because if you don’t they’ll take over. I had a garden like that once. I didn’t want to put the work into it, so I left it for a day or two. And then those days turned into weeks and my garden was overrun with weeds. It looked awful, and I gave up. I was left with a muddy, weedy mess. Marriage can become a muddy mess when we give up. When we don’t work at it. When we struggle because we don’t know how to fix things. When our partner is deeply hurting and we can’t think of how to make it better so we just go through the motions day after day. When every day life is hard, it is easy for marriage to become muddy because a marriage is every day life. After a year or so with a muddy, weedy messy garden, I decided I wanted to put the work in, so I put in a call for help. We upturned the soil, and removed the rocks. We laid out landscaping fabric to protect it from weeds. We carefully chose and planted the plants. Then we laid woodchips over the fabric we had laid down. In the end, the garden looked so much nicer than it had before because we’d worked hard at it. And every time I walked past my garden I smiled because I enjoyed how lovely it looked. Spring is coming soon, it really should be here already. I know in a few weeks time I’m going to have to get out there and work on the garden. To remove dead leaves, to lay fresh woodchips down. To get rid of whatever might cause my flowers to die. Because having a garden means working to keep it happy and healthy. And when your garden is happy and healthy, it makes you happy too. Marriage is a lot like gardening. It takes a lot of work to keep it happy and healthy. It’s not a one shot thing but you can deal with once and then be done with it. The continually changes and grows from season to season. And in every season, it needs to be tended to. Conflicts need to be forgiven, compromises need to be made. It’s never easy, and it’s always emotional. But hard work makes things beautiful. The reward for hard work in a marriage is even better than a beautiful garden. From season-to-season things grow and change. When you first marry, your love is like a tiny rosebud you plant in the ground. Without care, it can easily die. With care, it can blossom and grow into something beautiful. Instead of the little jolt you feel when your look at each other, there’s depth and love. Tender caresses of the one who knows you best. The best part of marriage isn’t the first year or two of marriage. It’s the every day, hard work that blossoms into a lasting love that can’t break. It’s a lifetime of never giving up. It’s a well tended garden. Once I saw a picture of the Grand Canyon and imagined standing on the edge and looking into its cavernous depths. Looking at below and wondering what was there. Unreachable. Mysterious. Once I sat for hours looking at a painting my mother had on her wall of lush green trees and a dirt road path. Looking at that path and imagining where it went after the bend. Unreachable. Mysterious. Once I used to wonder what it would be like to be inside that photo, inside that painting on the wall. To have answers to the unasked questions. To solve the mystery of what lies beyond. I don’t wonder anymore, because I have new mysteries and unasked questions. I don’t wonder anymore because I have you. You. From the moment I saw your sweet face, a delight and a joy. You. Whose smile is something magical that lights up my life. You. Whose heart is kind and compassionate. You. Whose life is sometimes still a mystery, even to those who have the keys to unlock and the tools to solve. When I look at you, lying sweetly in your bed with the blankets tucked around you I can’t believe you’re such a mystery. You look just like any other boy, tucked in his bed and snoozing away on a school night. And so I stay there a minute and wonder what its like to be you. Sometimes, it’s as a minefield. I can’t even bear the thought of stepping in, because the heartbreaking things so might find could explode right before me. Other times, it’s as cavernous as the Grand Canyon and I can’t see anything. Still other times, it’s that bend in the road that leads to a place I can’t see. The hardest part about the mysteries are all the what-ifs that come crashing in like rough ocean waves. Tossing and turning about, stirring up fears and worries I thought I’d already laid down. And it hurts my heart to think about, to know I may never know the mysteries of you. But then I’m reminded of something that soothes my hurting heart and lifts my head. I might not know how to solve your mysteries, but I know your Creator. Acknowledge that the Lord is God! He made us and we are His. We are his people, the sheep of His pasture. He made you and you are His. You are His. He knows the deep mysteries locked up inside your mind. He’s faithful. He’s good. And He loves you. So even if I’m failing at understanding, even if I can’t navigate through the minefield, even if it’s a mystery I’ll never solve, you are loved. You are understood. You are beautifully and wonderfully made by a Master Craftsman. Autism is a mystery sometimes. But you are not completely a mystery to me. Your heart and mine are connected forever. I don’t have all the answers and I don’t know what’s going to happen next. Sometimes the future scares me. But you are His, and you are mine too. I love bright colours. They are cheerful and they make me happy. I love splashes of colour here and there and everywhere. Colours everywhere – my clothes, my car, the walls of my house. But if there is one colour I can’t stand, it’s grey. I know technically it is not even a colour, it is just a shade. But I can’t stand it, and I know I am one of the few people out there in the world, since everything seems to be grey these days. But there you have it. I hate grey. It’s coming to that time of year when all you see is grey. I’m not just talking about paint colours or clothing. I’m talking about the skies, the roads, the snow banks. Spring is coming, but until then, soul sucking grey everywhere. Blah. Every year at this time of year, my husband will buy me a bouquet or two of cheery tulips just to get me through to next few weeks. They are my absolute favourite flower, even more than roses or lillies. They can be pink, purple, red, orange – the colours don’t really matter, I love them all. Why? Because to me, tulips are the first fruits of spring. Tulip bulbs are hearty and live deep within the earth all winter long. And then, slowly peek out of the ground, sometimes even through the snow. After the tulips come the buds on the trees, the melting snow, the sweet songs of birds. But first, the tulips. It’s like a sweet little sign that more is coming. But after a long, cold winter – the first sign of spring is the sweetest. I am so thankful that God created tulips. They bring me out of the grey every single year. Sometimes when I look at the world and all that He created, I wonder what His favourite is. Maybe it’s not tulips, or even a flower. Maybe it’s sky and space, in all of it’s magnitude and ever changing expanse. Maybe it’s the sea and all that is in it – the coral reef and all it’s beauty, or the hundreds of thousands of creatures that He’s created to live within it. Maybe it’s the trees that stand strong in the forest, and the leaves that change their shape and colour to every changing season. I think of all that He is created, and I am humbled to know that the answer isn’t any of those things. It’s us. You and me. In James 1:18, James says ‘He chose to give us birth through the word of truth, that we might be a kind of firstfruits of all he created.” Like the tulips, being the first and sweetest part of spring. Or the juicy red strawberries in the summer. The first bite of an apple during the harvest. Or the very first snow of the season. Out of everything that He created, He created us to be the first, the best and the loveliest. Like a tulip bulb is firmly planted in the fall, we can firmly plant His word in our hearts. Like the tulip bulb is watered and nourished during the long winter months while hiding under the ground, so our hearts are watered and nourished by the word of God in our lives. But in order to really grow, in order to push through the hard soil like the tulip, we need to do one more thing. And if we’re honest, sometimes this can get missed. We can’t just listen to the scriptures, or read the Bible and then be done with it. Otherwise, we would be like a tulip that never flowers. A few years ago, the school my children attended was having a fundraiser by selling seeds. I looked through the catalogue to see if there was anything that I might be interested in buying. Let me just start and say that I am not a gardener, in any way shape or form. You can read more about my black thumb here. But I thought I would go ahead and give it a go since it was for a good cause. So I ordered a bag of tulip bulbs from each of my boys. They happily dropped them on the kitchen table when the order arrived and excitedly asked when I would start our garden. I said something like “someday soon” and it was soon forgotten by the promise of after school snacks. But then, I also forgot. And they got moved from the table to the counter. And then the counter to the top of the fridge. And there they sat for months and months. Okay, if I am being honest, it was probably a year. When I discovered them, the Mom guilt hit me hard so I went out in the pouring rain, getting eaten alive by mosquitoes and I planted those bulbs. But when the winter came and went, the tulips never bloomed. I know that tulip bulbs are hearty, but I neglected them for a long time, and then hastily planted them in rocky soil that never let them take root. If we lived our lives like that, neglecting being in the Word and then hastily spending a few minutes reading here and there – how would that take root? If we attend church and listen to the words but then forget them the minute we leave the parking lot – how will they take root? If we sit at a weekly meeting with our church friends, and listen to their prayer requests but never pray for them or try to help them in any way, are we really allowing the Word to take root? Let’s be real for a minute. It is so very easy to pretend. To walk through life with the appearance that we are doing what is right, but then not really doing the right thing at all. Appearances can be deceiving – take it from someone who was a master deceiver for many years. It wasn’t until God intervened and softened my heart that things really change, allowing me to be able to have the opportunity to really let the Word settle in deep. We need to be doers and hearers of the Word. The words that we read might just be words on the page to us unless we actually live them out. And here’s the thing – living them out is what makes us God’s first fruits of creation. In Leviticus 23:9-14 we can read about the first fruits offering the Israelites were required to bring before the Lord. When the Israelites brought this offering to God, it became a pleasing aroma to him. I’ve often wondered about the term “pleasing aroma” and why a smell would make God happy. But at the heart of it all, it’s not the smell so much as what it represents – the Israelites obedience in doing what God had asked of them. If we do what God asks of us, by not only listening to the Word but also understanding it, it’s also pleasing to God. When I get up close and take a whiff of the tulips, they smell pretty and give off a pleasing aroma. It makes me happy, but that’s not all that’s pleasing to me. I’m excited about the fact that they represent the season of spring which will soon come. The Hebrew word for first fruits is bikkurim which means “promise to come.” How fitting a word for us as we live out our faith right now? When we allow God’s Word to take root deep in our hearts, and we strive to live it out, we represent the firstfruits of creation. It gives us a glimpse at what is promised to come, when God’s Kingdom is revealed. Every time I see a tulip, I’m going to be reminded that I’m one of God’s favourite creations. But I’m also going to use tulips as a reminder to be encouraged to actively live out what I’m reading in the Word. To be not only a reader, or a hearer – but to also wholeheartedly throw myself into doing whatever God asks of me. Spring is coming! It’s quiet and everyone is sleeping. Everyone but me. I can’t get comfortable and my heart is heavy. So I quietly slip into the bathroom, fill the tub with warm water and bubbles and have a good cry. There is purpose in this season, but it’s hard to see it through all the messy bits. And so my heart just aches. Maybe it’s because I’m the one who is always there. For every phone call, every confrontation, every poor choice, every meltdown, every hard lesson. I’ve heard from others that I would get to a point where I just don’t care, where I don’t feel the need to fight every fight and correct every mistake. But I don’t seem to ever get there, even after all these years of battle. Even though I’m exhausted, and broken, I can’t ever give up. Once upon a time I was his world. His beautiful blues would sparkle at the sight of me. He would be thrilled to sit next to me, to show me the latest and greatest in his life. But that’s gone now. Time has shifted things, and now I’m just in the way. Now I’m just the one who doesn’t know anything. The one who rules with an iron fist. The boring one. I’ve watched his world since before he was born, and now his world is trying to squeeze me out. I thought I was ready for these changes, but I wasn’t. I thought I would be stronger than this, but I’m not. The things he says to me break my heart, the things he does and mistakes he makes crush my spirit. Because understand this – this strange but wonderful thing – I remember the sweet child he once was, and I see the great man he could be. If I was a sculptor, and he was my masterpiece, I’d take a mallet and smash this season right off. But that would be a mistake – the roughing out period is possibly the most important part of sculpting. While a mallet is a useful tool, any minor mistake could cause it to completely ruin the piece. And I’m no sculptor – but God is. It’s a gift, really. To be able to see a glimpse of what he could be when God has finished the roughing out period and starts to finely chisel. All of these things that can be carefully removed by the Master Crafter. But it’s also tricky. Because while I may not be the Sculptor, some days I feel like I’m the mallet. One way or another, I’m directly involved in the roughing out period – and I’m feeling every strike, every blow, every scrape along the way. Or maybe we’re just worked from the same block of stone. I’ve had a roughing out period too, long before his. I’ve been finely chiseled, but I’m still not a finished piece. Maybe when he’s being roughed out, I need some more chiseling. Maybe the purpose of his season is perfecting something in mine. One way or another, we are in this together. Both of us just unpolished stone. Unfinished pieces, linked together by the Sculptor that gives us life. This season has a purpose – and I’m not going to give up. No matter how much we need roughing out, no matter how much work is ahead. He is worth every strike, worth the pain of every bit of stone that needs to be chiseled away. Unpolished stone. Unfinished work. Forever intertwined, mother and son. One day made beautiful. But until then, we wait and work through this season. I feel like a failure. A terrible teacher. A bad mother. Or maybe just a lazy one. It’s been thirteen years and I don’t feel like I’ve done enough, don’t feel like I’ve taught enough, directed enough, prayed enough or prepared enough. I feel like I’ve been asleep on the job, like I’ve slacked off. Honestly, I feel like I’ve been doing everything I can but it’s just coming up short. Survival. If you had to label my parenting style, that would probably be it. Some people tell me they think I have it all together, and it takes all of me not to laugh out loud because it’s so far from the truth. For the last thirteen years, I’ve been flying by the seat of my pants. I’ve been grasping at straws. I’ve tried different things. Mostly I’ve just tried to survive. Sink or swim, sink or swim. The honest truth? I’ve not done either. I’ve just been treading water for so long, trying to keep my head above the waves. I’ve not gone anywhere. For the last thirteen years, I’ve just thrashed around in one spot. Those people who tell me I look like I have it all together didn’t see my tears when my sweet, kind hearted son was screaming and throwing chairs in his kindergarten class. They didn’t feel my heart break when he was labeled a violent child in grade three and as such spent the year in isolation. They didn’t see me sobbing on the floor when I got a phone call that he’d attempted to choke an educational assistant in grade six. They don’t see those storms from our past, or the one that is darkening the skies on our horizon. I’ve spent these years fighting for them both. Meetings, phone calls, doctors appointments. Scheduling therapy, mentoring, respite, check ups. Keeping on top of medication, changes in appetite, managing behaviour. Because they can’t do it themselves. Because they need me. Because I’m Mom. And I’m so tired. Mentally drained. Emotionally exhausted. Weary. So I just keep treading water. Trying to survive, trying not to sink. I don’t know if I’ll ever get to swim. But I pray that they will get to. My two sweet loves, these little hearts that hold mine. I don’t have long now. Time is slipping away faster than I’d ever imagined. Will all that I have done be enough? Sometimes the very thought of days disappearing and months fading away has me gasping for air. Have I done all I can do? Have I spent this time well? No. And the answer breaks my heart even more. And when I truly stop to think about the overwhelming days to come, I feel myself sinking. But then Someone grabs me and pulls me to the surface. I remember we don’t have to do this all alone. Today, as I start sinking, I hear a song singing me to the surface. And I remember that when fear is crippling me, I just have to lift my eyes. I just have to look to the One who saves us. Because even though it sometimes feels like we are drowning, we will never drown because He is holding us up, encircling us with His love and care. Like a lifesaver firmly wrapped around our middle. Psalm 46:10 says, “Be still and know that I am God.” It’s comforting to us, to quiet ourselves and think about. But it’s really a call to action. For me, my boys, for you. To put it bluntly, it’s saying SNAP OUT OF IT! Wake up! Stop stressing about the unknown! Look at who your God is and be amazed. Praise Him for what He has done in your life! Why are you worrying about the things to come? You know who I am! You know what I can do! Enough of this! I know the days are slipping. The future is uncertain, terrifyingly looming overhead. Like those past heart aches from years of transition, another is coming. But I need to remember who my God is, and what He can do. It’s a dark, cold night. I’m standing outside with my friends. Laughing, happy. Sparklers light up the night sky as we write our names in the air. As we write whatever our hearts desire. No one is really looking, and even if they were, I doubt they could even make out what I’m writing. My deepest, heart felt desire. To be just like them. To be skinny. To feel like I belong. My new year’s resolution is to lose weight. It always is. I’ll try every fad diet on the market, desperate to be thinner. Desperate to fit in. But none of them ever work. I have many new year’s celebrations like that one. Many new year’s resolutions to lose weight. Many years of heartache when my maximum, sometimes over-the-top efforts to be thinner bear no fruit. Many years of tears. Long after I’ve married the love of my life, long long after that cold, dark night. I’m thirty six years old. If I could approach my sixteen year old self, writing her hopes and dreams in the night sky, I’d want to tell her a few things. I’d want to tell her to just be herself. I’d want her to buy herself that pretty sweater she had been eyeing at the mall and wear it proudly because she looks incredible, the thinnest she’ll ever be in her life. And I’d want to just give her a hug, if for nothing else than to let her know even though she’s in for a rocky two decades of amazing highs and deveststing lows, she’ll come out the other side perfectly okay. Twenty years later, I know why I could never lose weight on all those fad diets I tried. Twenty years later, I’m okay with having a disease that makes me fat. Twenty years later, I’m happy in my own skin – I don’t need to be a supermodel. Twenty years later, I know who I am. And it has nothing to do with the outward appearance, and everything to do with the heart. Twenty years later, I feel beautiful because I am His. Instead of making resolutions, I’m writing down revelations. Twenty years later these revelations are more important to me than anything else. Twenty years later, my only hearts desire is to live according to His will. And I’m so thankful that in this new year, these revelations speak truths into my life when the voices of the world seem overwhelming. Twenty years later, I understand to whom I belong. It’s quiet in my house right now. It’s never this quiet. When everyone is silent, when everyone is sleeping. It’s extremely rare to be the only one awake in the early morning hours. And I feel at peace. Sitting here in the quiet, I reach for my Bible to spend some time in the Word before the chaos that will become my day. And I’m thankful because I rarely get this time, first thing in the morning. It’s always mid afternoon, when my body is already aching and I’m worn and weary. And I find myself wishing for more moments like this. I used to not care. If I woke up in the early morning, I would just roll over and go back to sleep. But something changed in me. Slowly my heart started to change and I wanted to spend more time in the Word. To learn more, to experience more. But I didn’t know where to start. So I decided to check out different things on Pinterest, but I didn’t like what I found. It wasn’t that they were bad or wrong, it’s just that I wanted more than topical studies. The thing I don’t like about topical studies is that often verses are taken out of context to support the theme. Context is super important. The Bible is one big story that flows from one little story to the next, and to the next. And if we just pluck verses out to make out here and there to make us feel better, we are losing something much bigger and even more meaningful. Reading out of context allows us to miss, twist and mix up Biblical truths. Take Jeremiah 29:11. Everyone knows this verse. You’ve seen it all over the place. You might even have it on a coffee mug or a wall hanging in your home. “For I know the plans I have for you, declares the Lord, plans to prosper you and not to harm you, plans to give you hope and a future.” It’s a feel good verse. It’s the kind of verse that brings you comfort when you feel like your life is spiralling out of control. But if you look at the context around the verse, you see so much more. The Israelites have been banished from Jerusalem and are living as slaves in Babylon. 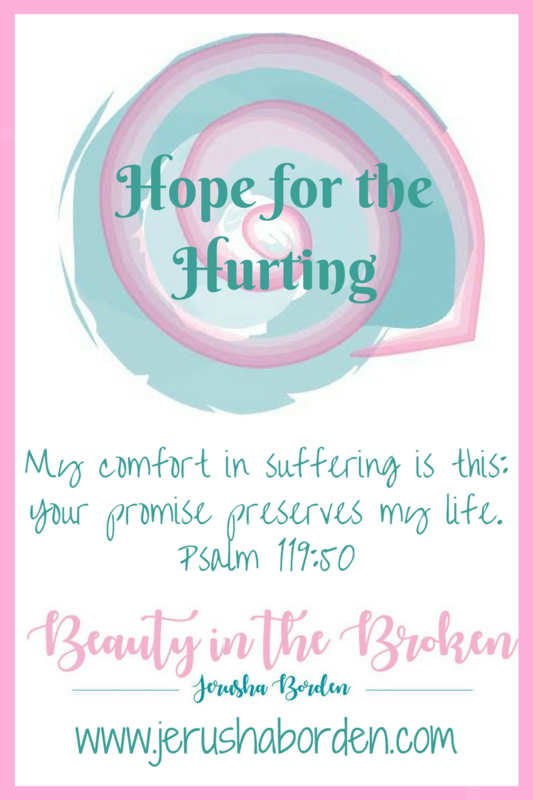 Feeling miserable, they take hope in a prophet named Hananiah who tells them it won’t take too long to be back to their home, just a short two years. But Hananiah wasn’t sent by God to deliver this message, and he was passing it off as of it was straight from the Lord. Because of this, he died and Jeremiah came in with another message, this one from the Lord himself. And it wasn’t what the people of Isreal wanted to hear. From the city of Jerusalem itself, Jeremiah wrote a letter to the exiled Isrealites telling them to get comfortable. “Build homes in plan to stay. Plant gardens, and eat the food they produce. Marry and have children. Then find spouses for them so that you may have many grandchildren. Multiply! Do not dwindle away! and work for the peace and prosperity of the city where I sent you into exile. Pray to the Lord for it, for its welfare will determine your welfare.” (v. 4-7) Jeremiah then warned the Israelites about listening to false prophets and the dangers of being tricked by people who proclaim that they’re speaking for the Lord. And then, just before the comforting verse we can find on any mug or banner, the Isrealites received news that probably broke their hearts. “This is what the Sovereign Lord says: you will be in Babylon for 70 years. But then I will come and do for you all the good things I have promised, and I will bring you home again.” (v. 10). The Israelites were ready to leave. They didn’t want to live a life of captivity. But because God had better plans for them, they had to stay. They weren’t living for the Lord, and God was punishing them for their sins. But because He deeply loved them, He needed them to stay in a so their hearts could be realigned with His. Only there would they look for Him wholeheartedly (v. 12). When you’re sipping coffee out of a Jeremiah 29:11 mug, you’re probably not thinking of sin and captivity. But that’s the story. Instead, when we look at this verse, we should rest in knowing God’s plans are always better than ours, but in His plans, not everything will be easy for us. Since context is so important and often missed, I decided to combine a bunch of study methods and create my own. Here’s what I like to do when I want to dig a little deeper. First, I think it is important to always start with prayer. It gives you a chance to talk to God before you study His word, to get transition from whatever you were just doing to a time of worship, and to open your mind and heart to what you are about to learn. WHO, WHAT, WHEN, WHERE, WHY, AND, HOW? It is always important to look at who wrote the book that you are reading. The Bible is of course God-breathed, which means it was inspired and ultimately written by God. However He chose to use human hands to write it out for Him. It is filled with numerous different authors with different writing styles. It’s important to know who wrote each book because it gives us a clearer picture of why it was written (more on that in a minute). So, the first question of study is WHO IS THE AUTHOR? There are several different types of books in the Bible. When I think about all the different books, I like to think of myself walking through a library. If you and I were at a library, we would see it is organized by different genres, making it easier for us to find what we are looking for. The Bible is also organized by different genres. There are books about law, books about history, books of poetry, books of prophecy, the gospels and the epistles. Knowing what we are reading helps us to understand how to read it best to glean the most out of what we are reading. Just like you wouldn’t expect to read a murder mystery in the same way you’d read a biography, we should not read the book of Exodus the same way that we would read the book of John. So the second question of study is WHAT KIND OF BOOK IS IT? The Bible is not written in chronological order, but is actually divided up by the types of texts I just mentioned. When you look at the Bible reading plans in chronological order, you might be surprised to see Job in the first month of reading. Even more surprising is that Job was likely written before we read about the life of Abraham! Knowing when the book was written will help us with understanding the history of the book, who it was written for, and why. The third question of study is WHEN WAS IT WRITTEN? We can’t just take something out of the Scriptures and apply it to our lives at random. For example, not all of the promises that God gave to Isreal were intended for us! This is where studying in context is essential. It is important to look at where the book was written, who received it and for what purpose. Thinking specifically of the books of 1st and 2nd Corinthians, we can see it was written by Paul to the people of Corinth who were struggling with issues in the church, especially with a few specific people. Paul wrote these letters, and then sent them out where they needed to go. The fourth question of study is WHERE DID THE BOOK GO? All of the Bible was written for a reason. This is certainly the easiest question to ask yourself when you are studying the Bible, which is filled with several different purposes. One night when we were just coming home from an event and it was past the kids bedtime, my youngest son was asked for us to read him a Bible story. My husband told him no because of how late it was, and our son said “But Daddy, the Bible is instructions from God!” Of course he got his Bible story that night – how could we argue with that? While the Bible is filled with instructions it is also filled with admonition, inspiration, warnings, encouragement and more. One thing I have found helpful is to look at whether it is a descriptive or prescriptive text. Descriptive texts are when the scriptures are describing what took place, often with a lesson involved. There are descriptive texts all throughout the Bible, but we can find them prominently throughout the Old Testament. Prescriptive texts are when the scriptures are providing instructions on how to live, a “prescription” if you will – which can be found in much of the New Testament. The fifth question of study is WHY WAS IT WRITTEN? The sixth and final question of study is HOW DO I APPLY THIS TO MY LIFE? This is a question that will be personal to you and your daily life, but if you are following through with the 5 W’s then you might have some good instructions on application. 1. How do I identity God in the text? Look for what attributes of God are revealed, what God said or did, and how He is mentioned – what names of God or character traits were used. 2. Find examples of faith in the scripture – how do the Biblical characters respond to their circumstances? Do they have good discipline that we can model? How does God show His love and grace to them? 3. Is this descriptive or prescriptive? 1. Based on what I have learned, how can I praise God? 2. What sins are identified that I need to confess and and turn away from? 3. How can I demonstrate faith like these Biblical characters in my own life? 4. What are ways that I can bring what I’ve learned to God in prayer? How can I pray for others based on what I’ve studied? Journaling is important, and it’s so good to dig deeper into God’s word. I often get asked what I do to be consistent with Bible reading, and I usually recommend a Bible reading plan. Note that when doing a Bible reading plan, the goal is often to finish reading the Bible in a year. I’ve found that when I do this, I don’t have time to really dig deep into what I’m reading. If you’re like me, and you want more, follow a Bible reading plan, but don’t get caught up in the deadlines. Read and study, and you’ll find so much more. There is a lot of Information here. You can choose whatever reading schedule and study plan that works for you. But the message I wanted to convey is to start simply. The more we commit to studying the Word, the more we learn. When we consistently are learning more, we are prompted to align our hearts with His.